The Simposio Internacional de Informática Educativa (SIIE) provides an international forum for the presentation and discussion of the latest research developments on technologies for learning and their practical application in educational processes. It also aims to bring researchers, developers, institutional representatives and teachers together to share views, knowledge and experiences. For more informations about '16th Annual Conference on Privacy, Security and Trust' please follow the event's link below. Theme: "Emerging Trends and Challenges of Engineering Education". For more informations about 'IEEE EDUCON2018 Global Engineering Education Conference' please follow the event's link below. ACM IUI 2018 is the 23rd annual meeting of the intelligent interfaces community and serves as a premier international forum for reporting outstanding research and development on intelligent user interfaces. ACM IUI is where the Human-Computer Interaction (HCI) community meets the Artificial Intelligence (AI) community. We are also very interested in contributions from related fields, such as psychology, behavioral science, cognitive science, computer graphics, design, the arts, etc. Increasing amounts of data is constantly being generated form a wide number of sources. This creates a great opportunity to extract new insights into how diseases work and how drugs can be developed to provide more targeted and effective treatments, but only if pharma and biotech companies can structure, integrate, and analyse this data to derive useful knowledge from it. The industry therefore needs to develop new methods and utilise new technologies to get the best out of the information available as well as integrate their internal systems so that all teams get the information they need in a way they can understand in order to accelerate the drug development pipeline. This conference is the perfect opportunity to learn about these developments and network with experts working in all areas of pharmaceutical R&D IT and discovery informatics. As experts position themselves for FDA-approval of primary diagnosis, the congress will examine the applications and benefits of adopting digital pathology as well as the business case to be made for it. With over 200 industry and academic experts expected over the two days, the congress will provide the opportunity to take home cutting edge strategies, analysis techniques, case study examples and methods to allow you to fully understand both the technology and accompanying informatics and image analysis tools and utilize digital pathology to its greatest potential. The 18th Annual International Conference on Digital Government Research will feature the main theme of "Innovations and Transformations in Government." Technological advances and the "open data movement" have been a catalyst for disruptive innovations in government, causing radical re-thinking of the traditional assumptions and expectations regarding how governments should function and how governance can be changed. The provision of public goods and services that have been considered as core government functions can now be initiated and created by citizens and/or private partners through collaborations. The ACM CHI Conference on Human Factors in Computing Systems is the premier international conference of Human-Computer Interaction. We are very fortunate to hold CHI 2017 in Denver, in one of the most beautiful regions in the U.S., near the foothills of the Rocky Mountains. This location served to motivate our conference theme of Explore, Innovate, Inspire. Mountains have long been a theme connected to exploration, the natural environment has provided models for numerous innovations, and the western landscape has served as a source of inspiration to many, from artists to inventors. The CHI conference brings together people from multiple disciplines and a diversity of cultures to explore new ways to practice, develop and improve methods and systems in HCI, to discuss ideas that can lead to innovations, and to inspire us all. 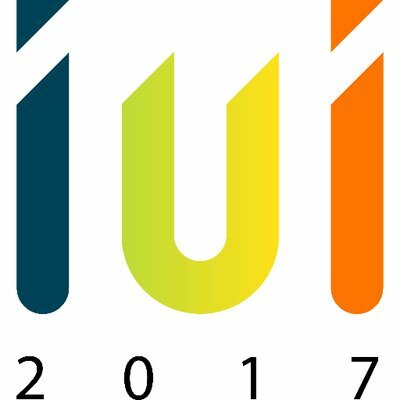 ACM IUI 2017 is the 22nd annual meeting of the intelligent user interfaces community and serves as a premier international forum for reporting outstanding research and development on intelligent user interfaces. ACM IUI is where the Human-Computer Interaction (HCI) community meets the Artificial Intelligence (AI) community. We are also very interested in contributions from related fields, such as psychology, behavioral science, cognitive science, computer graphics, design, the arts, etc. HEALTHINF is part of BIOSTEC, the 10th International Joint Conference on Biomedical Engineering Systems and Technologies. The purpose of the International Conference on Health Informatics is to bring together researchers and practitioners interested in the application of information and communication technologies (ICT) to healthcare and medicine in general and to the support of persons with special needs in particular. At ACM Multimedia 2016, we will celebrate its twenty-forth iteration with an extensive program consisting of technical sessions covering all aspects of the multimedia field in forms of oral and poster presentations, tutorials, panels, exhibits, demonstrations and workshops, bringing into focus the principal subjects of investigation, competitions of research teams on challenging problems, and also an interactive art program stimulating artists and computer scientists to meet and discover together the frontiers of artistic communication. CI4CC is a nonprofit organization that provides a focused forum for academic focussed research informatics scientists. CI4CC is organized and lead by executive leaders from within the Academic and Clinical Cancer Center community, ... but we are not only about Cancer! Informatics and Technology is borderless and so are we. We come together to change the world one megabyte at a time, and we can only do it together with our private partners from the corporate community. ICHI 2016 is the premier community forum concerned with the application of computer science principles, information science principles, information technology, and communication technology to address problems in healthcare, public health, and everyday wellness. The conference highlights the most novel technical contributions in computing-oriented health informatics and the related social and ethical implications. 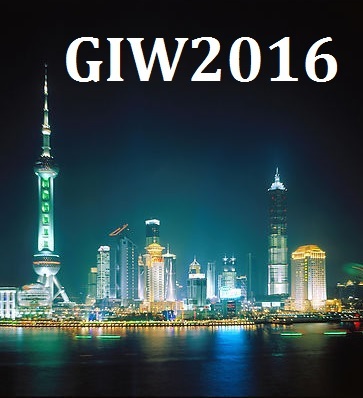 The 27th International Conference on Genome Informatics (GIW 2016) will be held at Fudan University, Shanghai, China on October 3-5, 2016. The aims of the conference are to present recent results of both theoretical and practical research, to show new applications, to demonstrate systems, and to indicate directions of future research. The Global Conference on Applied Computing in Science and Engineering is organized by academics and researchers belonging to different scientific areas of the C3i/Polytechnic Institute of Portalegre (Portugal) and the University of Extremadura (Spain) with the technical support of ScienceKnow Conferences. The event has the objective of creating an international forum for academics, researchers and scientists from worldwide to discuss worldwide results and proposals regarding to the soundest issues related to Applied Computing in Science and Engineering. The purpose of the 11th International Conference on Informatics in Control, Automation and Robotics (ICINCO) is to bring together researchers, engineers and practitioners interested in the application of informatics to Control, Automation and Robotics. Four simultaneous tracks will be held, covering Intelligent Control Systems, Optimization, Robotics, Automation, Signal Processing, Sensors, Systems Modelling and Control, and Industrial Engineering, Production and Management. Informatics applications are pervasive in many areas of Control, Automation and Robotics; This conference intends to emphasize this connection. According to Nygaard, informatics is the science that has as its domain information processes and related phenomena in artifacts, society and nature. In the spirit of this definition, we consider business informatics as a scientific discipline targeting information processes and related phenomena in a socio-economical context, including companies, organizations, administrations and society in general. The IEEE Conference on Business Informatics seeks for methodological approaches to describe, explain, predict, and design information and communication models, architectures, and systems for the business environment. EuroVis 2014, hosted by Swansea University in the UK, is the 16th annual visualization gathering organized by the Eurographics Working Group on Data Visualization and supported by the IEEE Visualization and Graphics Technical Committee (IEEE VGTC). EuroVis has been a Eurographics and IEEE co-supported international visualization symposium held in Europe annually since 1999. Since 2012 EuroVis is a conference. This International Conference on Informatics and Semiotics in Organisations (ICISO 2014) is the fifteenth in a series of international events devoted to the latest research and application of informatics in organisations and organisational semiotics. The aim of the conference is to provide a focal forum for participants from various domains of information management and information systems, computational science, semiotics, finance and accounting, business and enterprise, service science, and business and engineering. The conference enables the sharing and exchange of the latest research and practice. ICISO 2014 continues the effort of the international research community in the development of the emergent discipline of informatics and its applications. PIC-2014 follows the successful PIC-2010 (held in Shanghai) and provides a forum for researchers and practitioners in academia and industry to discuss the progress, challenges, experiences and trends of the theoretical, technical and application issues in information science, computer science, software technology, and management engineering, to exchange ideas, share knowledge and promote future cooperation. Submissions involving new progress are emphasized. The topics of interest will include, but not limited to: Artificial intelligence, pattern recognition, knowledge management, cloud computing, service computing, enterprise computing, natural language processing, computational linguistics, information retrieval, computer vision, image processing, multimedia systems, computer aided technology, management information systems, supply chain management, software engineering, human-computer interaction, database systems, applied informatics. Graphics interface is the oldest continuously-scheduled conference in the field. The conference consistently attracts high-quality papers on recent advances in interactive systems, human-computer interaction, and graphics, from around the world. GI 2014 will take place in Montreal, Quebec, from May 7th to 9th, 2014. IVAPP is part of VISIGRAPP, the 9th International Joint Conference on Computer Vision, Imaging and Computer Graphics Theory and Applications. The International Conference Flexible Automation and Intelligent Manufacturing (FAIM) is the leading international forum to disseminate, to all branches of automation and manufacturing, information on the most recent and relevant research, theories and practices. Following success of our earlier FAIM conferences, the 23rd FAIM 2013 will be held in Porto (Portugal) during 26-28 June. The conference will link researchers and practitioners from different branches of automation and manufacturing engineering from around the world. The focus of the FAIM'13 conference is to discuss the theme: The Challenge of Sustaining Global Competitive Manufacturing Systems. The 2013 IEEE International Conference on Robotics and Automation (ICRA 2013) will be held in Karlsruhe, Germany on May 6 - 10, 2013. The conference theme is “Anthropomatics - Technologies for Humans”, highlighting the paramount role of Robotics and Automation in improving human quality of life. It is organized by an international committee of experts in various fields of research. Effectively and efficiently retrieving information based on user needs is one of the most exciting areas in multimedia research. The Annual ACM International Conference on Multimedia Retrieval (ICMR) offers a great opportunity for exchanging leading-edge multimedia retrieval ideas among researchers, practitioners and other potential users of multimedia retrieval systems. This conference, puts together the long-lasting experience of former ACM CIVR and ACM MIR series, is set up to illuminate the state of the arts in multimedia (text, image, video and audio) retrieval. 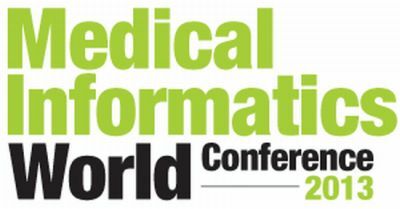 Cambridge Healthtech Institute and Bio-IT World are committed to extending their exceptional series of educational programming in Boston this spring with the launch of Medical Informatics World 2013. Taking place April 8-9, Medical Informatics World 2013 will bring together industry leaders and decision makers in the fields of HIT, healthcare, biomedical sciences, life sciences, pharmaceuticals, informatics and IT in Boston, MA. Over the course of two stimulating days, senior level executives and leading experts will share research advances, information trends and new enabling technologies that are driving healthcare management, biomedical research, and healthcare delivery to new heights. Medical Informatics World 2013 will feature three concurrent tracks, each running a day and a half, and three in-depth half-day workshops providing dynamic discussion from world leading scientists and executives in healthcare informatics, biomedical informatics, applied clinical informatics, and personalized medicine. Co-located with CHI's flagship Bio-IT World Expo, a premier event showcasing the myriad applications of IT and informatics to the life sciences enterprise, Medical Informatics World 2013 completes the week of scientific content by bridging the healthcare and life science worlds. As Bio-IT World Expo attracts more than 2,500 delegates from dozens of countries as well as more than 130 exhibiting companies, networking opportunities abound at the two events. Join us and your peers for invaluable discussion and networking at Medical Informatics World 2013.